1. Bloc Party vs Team UK Starts us off!! – GEKIDO win via Submission by 17 tapping out Jolly Rodger. Jigsaw still refused to fight J-Ro, Kimberlee apparently took a beating. -In a Pick Ems Buster, the Squad advance via a 2 Post Massacre on Grimsley! 4. Flood Elite (with Captive Snow Troll) vs Spectral Envoy! 5. Devastation Corporation vs Team Extravaganza! -3Peck0 Advance with a Majistral on Ares. Cube Fans who came out were apparently furious. -Nokken takes out Ares post match, Cube unmasks… IT’S JAKOB! HE’S BACK!! -JAKOB HAS THE EYE, HE CONTROLS NOKKEN!! -Jakob has taken over the BDK! -Golden Trio advances with a 3D by the Throwbacks on Chavo! -Chavo puts over Indie Wrestling, The Champs, King of Trios, and CHIKARA Overall. Classy! -Before the Main Event, the GHM enter the ring! -Green Horns call out the Vets for not caring about the fallen, and KID CYCLONE CALLS OUT DEUCALION!! 8. Colony vs Colony XTREME Force! -Worker is back in the match! -The Colony are victorious with The Anthill! – Rich Swan was eliminated next via submission from Tigre Uno. – Shynron pinned Tigre after hitting his Double Dragon 630. -Director of Fun Mike Quackenbush came out and asked which side Jigsaw was on and said CHIKARA is your family and we need you. Jigsaw yelled back “I DON’T NEED ANYBODY!” and left alone. -The lady who won the Talent show at the Fan Conclave played JFDC’s theme song on her whistle before the match. However, when Juan came out, he stole the flute and threw it on the ground. -Spud took a bowtie from his tights and put it on the ref, Bryce Remburg. Juan immediately removed it and stomped on it several times. -JFDC won with a German suplex on Spud. Greenhorn Militia came out again and challenged Deucalion to a fight. When Deucalion didn’t show he said the GHM will come to him when he least expects it. -Max Smashmaster his the Death Blow on Mark Andrews to get the win for the DC. Team UK used their speed to counter the DC’s brute force, but came out short. -Sanada rolled Christopher up with his feet on the ropes for the first elimination. -Amasis hit a 450 Splash on AR Fox for the 2nd elimination. -Sanada spit green mist into Amasis’s eyes then hit a superkick to win the 4 way. -Spirit Squad cut a heel promo on the crowd before the match. -Icarus makes Kenny submit via the CHIKARA Special to get the win for his team. -Juan Francisco de Coronado interfered & attacked Remington ending the match via DQ. -After the match, Remington presented Yoshi with a fruit basket. -Once again, The Snow Troll was brought out in chains and tied to the ring post. -Near the end of the match, Snow Trolls asks Worker Ant to unchain him and as he does, Deucalion comes out with Soldier Ant and Soldier hits Worker Ant which allows Jacobs to pin him. -After the Match, the GHM come out to attack Deucalion but both 3quinox and C-A-W 2.0 got killed by Deucalion. Kid Cyclone escapes but without his cape which Jacobs takes with him. Hallowicked is finally out to take the fallen GHM members to the back. Final 4 teams: 3peck0, Devastation Corporation, The Golden Trio, and the Flood. -Icars makes Volgar tap to the CHIKARA Special! Golden Trio advance to the Finals! Snow Troll is Free! -Snow Troll Low Blows Icarus!! The Flood lays out Golden Trio!! -3Peck0 are painted up baby!! -Shane gets Boston Crabs on all three Dev Corp Members, but Bakabella pulls Bryce out, and a Deathblow on Jagged gets Dev Corp to the Finals! 3. Oliver Grimsley vs Mark Andrews in a Bonus Match! -Andrews gets the win with a Shooting Star Press. He has really impressed all weekend. -Los Ice Creams and Old Fashioned Open it up! -Fontaine finds a broom to sweep away the Sprinkles! -Hijo rolls up Fontaine as he gets rid of the Sprinkles, Ice Creams take the first fall! -Hype with a wind up backbreaker on Hijo gets NRG the fall! -Team 4 is Arctic Rescue Ant and Missile Assault Ant of CXF! -Missile with a Rolling Northern Lights on Hype gets the fall! -Leaping DDT by Obariyon on Missile gets The Batiri the Fall! -Team 6 is the Osirian Portal! -Osirian Sacrament on Obariyon gets Portal the Fall! -Team #7 is Prakash Sabar The Boar of Moldova! -Boar Gore to Sabar on miscue! Sabar taps to the Death Grip by Ophidian! -Team #8 is Silver & Worker Ant! -Bridging backslide on Silver by Ophidian! The Portal have Three Points! -Team #9 is The Dunne Brothers of Team UK! -450 by Amasis nets them a Fourth Point and the end of Team UK! -The Wrecking Crew of Jaka and Oleg are the last team! -Barber taken out. Bakabella with coins to the face of Ophidian. Wrecking Crew wins the Gauntlet!! 5. Submission Squad vs ???? In Mysterious Atomicos Action!! -Taylor, Cassidy, Gulak, and Swamp Monster! -THE GRENADE IS IN KING OF TRIOS!! -A Flurry of Finishers on The Swamp Monster nets Submission Squad the win! 6. Shynron vs Sanada in the RDV Finals! -Sanada sprays RED MIST in Shyron’s face with a Superkick but he kicks out at 2! -Shynron pins Sanada with a Backflip Cutter and then a Middle Rope 630 and overcomes to win the match and RDV!! -A “You Deserve it!” chant breaks out, and he sure does! 7. 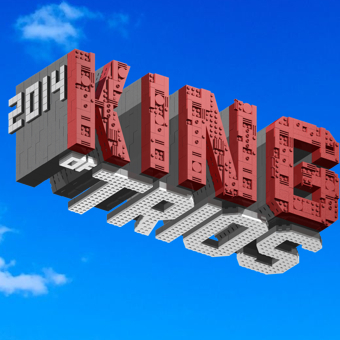 King of Trios Final: Golden Trio vs Devastation Corporation! -This match is an absolute WAR. -ICARUS KICKED OUT OF THE DEATH BLOW! -TKO and Death Blow on Dasher, DEV CORP ARE KOT CHAMPS!! -Flood celebrate with Dev Corp, and CHIKARA ATTACKS!! -Flood Stand Tall. Jacobs says to hand the Grand Championship over or they’ll end CHIKARA!! -Kingston is screaming at Icarus to give him the belt!! -…AND KINGSTON TURNS ON THE FLOOD!! -The CHIKARA Wrestlers take control as King attacks Jacobs! -Kingston and the Tecnicos share a group hug as the Flood is knocked back! -No sign of Deucalion, or Kid Cyclone. -CHIKARA stands tall, and that’s a wrap for KOT!! Previous articleWWE Night Of Champions Results (9/21) – New Champions!